I wanted to do a wallpaper for FY for a long time, jsut didn't know what type of theme or layout I would use. I finall found one and this is the result. The idea for the small pics of the warriors was to show that they were posing for a professional photographer with a set background. Thanxs to scans from a fellow MT member. oo i really like this wallpaper.. but i dun think the text looks all that good with the wallpaper. i think you should have added the seiryuu seven on the other side behind tamahome. 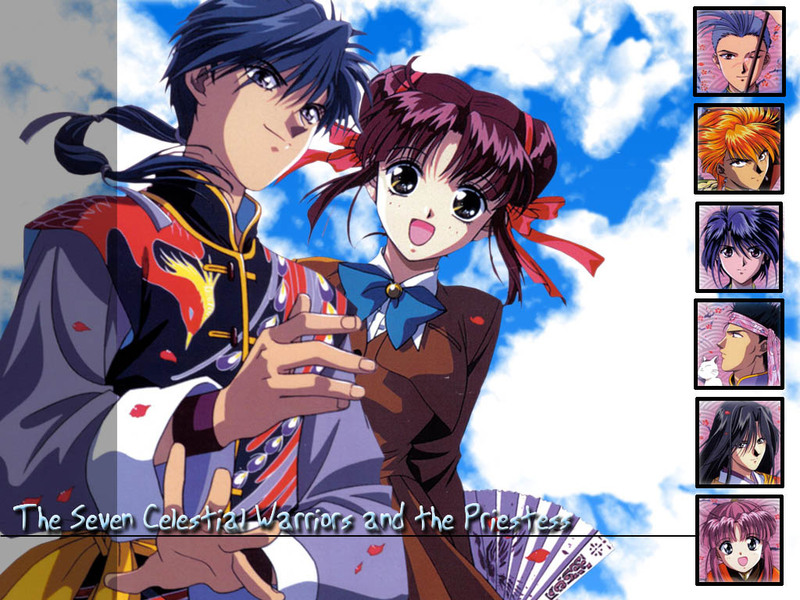 Miaka's cute...but I HATE HER AND TAMAHOME! Nice wallie ;D Thanks for sharing! :) You had a good idea for this wallie and I like it a lot! i like this one. as someone mentioned, the words kinda are in the way but overall, it's really nice. i like the other warriors on the side. nice touch.